Our best wishes to you for 2015! 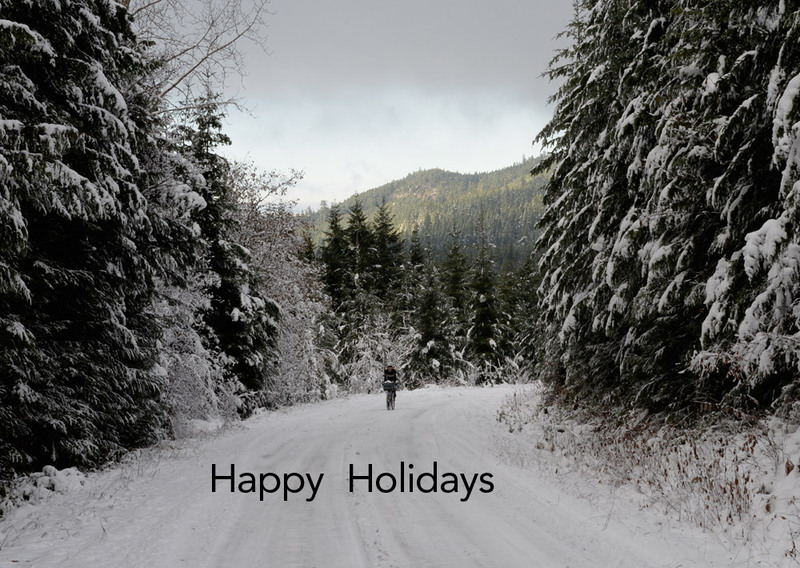 May the new year bring you wonderful rides and great memories. Happy holidays, indeed. I put my Chanukah present — Loup Loup Passes — onto my Rivendell Glorius this week, and they’re just amazing. On pavement, they almost make the bike melt away beneath me. There was a famous old ad for Rolls Royce with a tag line something like “At 60 mph, the loudest thing in a Rolls Royce is the flock,” and the Loup Loups (especially on empty Christmas Day roads) give that same silent feeling. Plus, they were excellent on gravel, which reassured me, as I was a little concerned by the lack of a dirt tread. With a birthday coming up, I need to figure out whether the Romulus will take the 38 Barlows or only 32 Stampedes. Does anyone know for sure? A renewal of my BQ subscription equals the Best Christmas Present Ever! The latest issue is a triumph. Thanks for sharing your vast knowledge of amazing bikes, awe-inspiring rides and colorful cycling history. I have been reading your newsletter for years now. I still can’t wait for the next issue. I wish you and your family a Merry Christmas and a wonderful New Year. Don, thank you for the nice words. But please don’t call it a “newsletter” any longer! The new issue has 108 pages, is printed on heavy stock in full color… It’s funny, long-term subscribers still recall the days when it was 36 pages, black & white… whereas some new subscribers now call it a “book”! Most of all, I am glad you are continuing to enjoy the magazine after all these years! Merry Christmas and a Happy New Year for you and all yours !